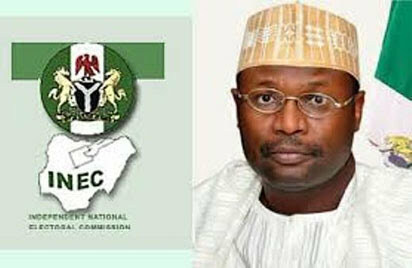 The Indepen-dent National Electoral Commission, INEC, has disclosed the possibility of extending the deadline for the collection of Permanent Voter Cards, PVCs, particularly in states which have a low collection rate. The earlier deadline for the collection of the cards was Friday, February 8, but speaking at the National Stakeholders’ Forum on the 2019 general elections yesterday in Abuja, the INEC Chairman, Prof. Mahmood Yakubu, said the commission would meet with Resident Electoral Commissioners RECs in the 36 States of the Federation and the Federal Capital Territory, FCT to review the collection rate and take an appropriate decision. “I want to assure stakeholders that INEC is prepared for the elections. Let me assure the stakeholders and the nation that Smart Card Readers will be deployed in the 2019 general elections. The next issue is Voter Register and Permanent Voter Cards. We have a lot of complaints from citizens, however the complaints are coming from those who have damaged their PVCs and require replacement as well as those who applied for transfer and relocation but the cards have not been found. “Some of you will ask that the last day for the collection of PVCs is tomorrow which is Friday, the 8 of November. The Commission is going to meet today after this forum and the next meeting we are going to hold is with security agencies and where it is necessary we will review the arrangement for the collection of PVCs. No Nigerian is going to be disenfranchised for no fault of his or fault of hers. On ad hoc staff, he said; “We have three categories of ad hoc staff; we have the supervisory presiding officers. We have the presiding officers and assistant presiding officers 1, 2 and 3. The third category are the collation and returning officers. Our State offices are responsible for the recruitment and training of the first two categories. We are satisfied with the processes and we are going to do refresher training before the election”. The INEC Chairman who explained that State Resident Electoral Commissioners have been mandated to meet with Commissioners of Police in their respective States to decide on the deployment of Security, said they are to meet with State Chapters of Nigerian Union of Road Transport Workers to implement the earlier signed Memorandum of Understanding to ensure that election staff and materials are moved to various polling units before the arrival of voters at 8 am on election day. Also speaking, the Acting Inspector General of Police, Muhammed Adamu disclosed that the six Deputy Inspectors General of Police, DIGs will be deployed in the six geopolitical Zones, 24 Assistant Inspectors General of Police, AIGs will be deployed in the Zones while 36,000 tactical personnel will also be deployed in addition to regular police to beef up security on election day. Previous Could This Be The Reason ASUU Strike was suspended?